Tiffany of Bal Harbour, Miami Beach, is one of the premiere, established, luxury beachfront condo properties in Bal Harbour. Built in 1982, the Tiffany offers full-service luxury living in a garden setting nestled among larger buildings. The 18-story Tiffany Condo offers 135 super spacious 2, 3, and 4 bedroom units. 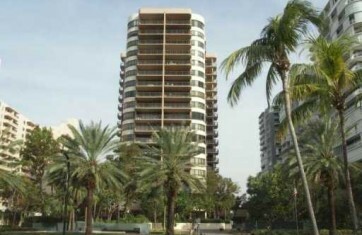 Located directly on the ocean within minutes of world famous Bal Harbour Shoppes. Amenities at the Tiffany Bal Harbour include a vast oceanfront garden area with path, valet parking, 24-hour security, heated pool, spa, beach access, billiard room and exercise room.